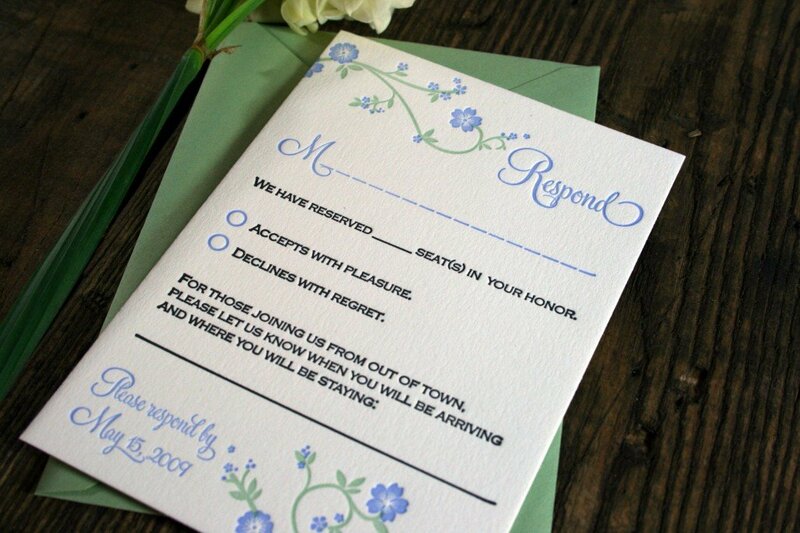 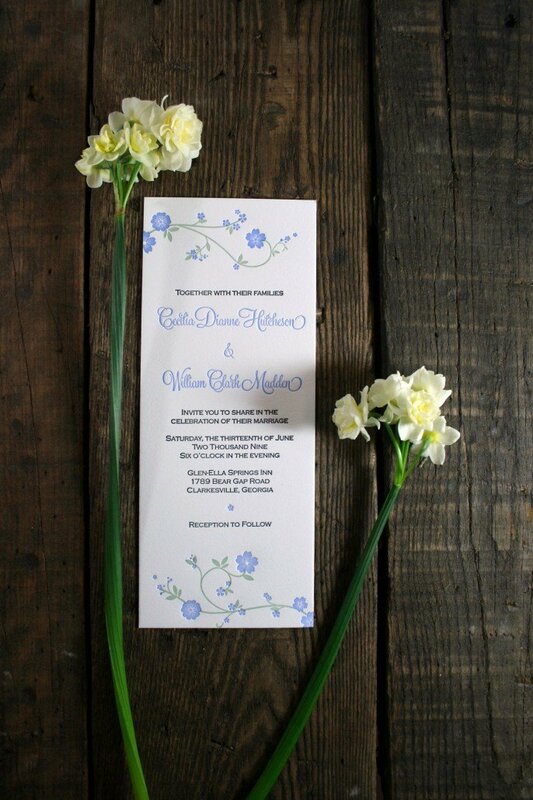 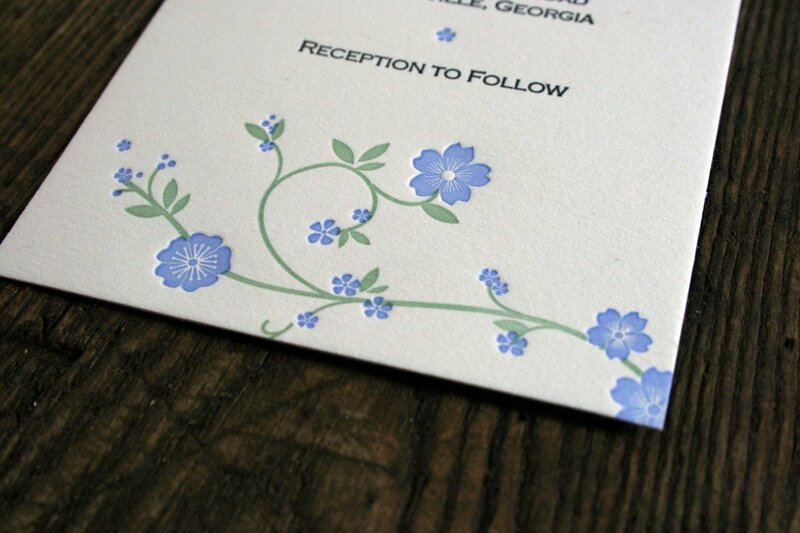 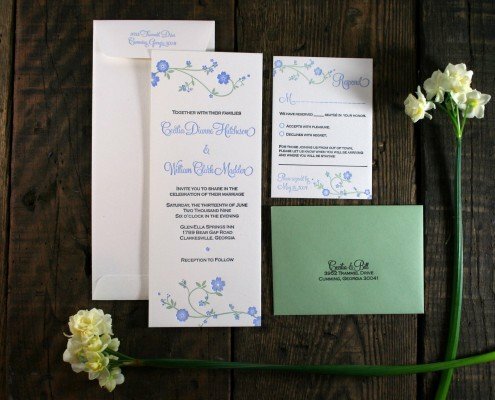 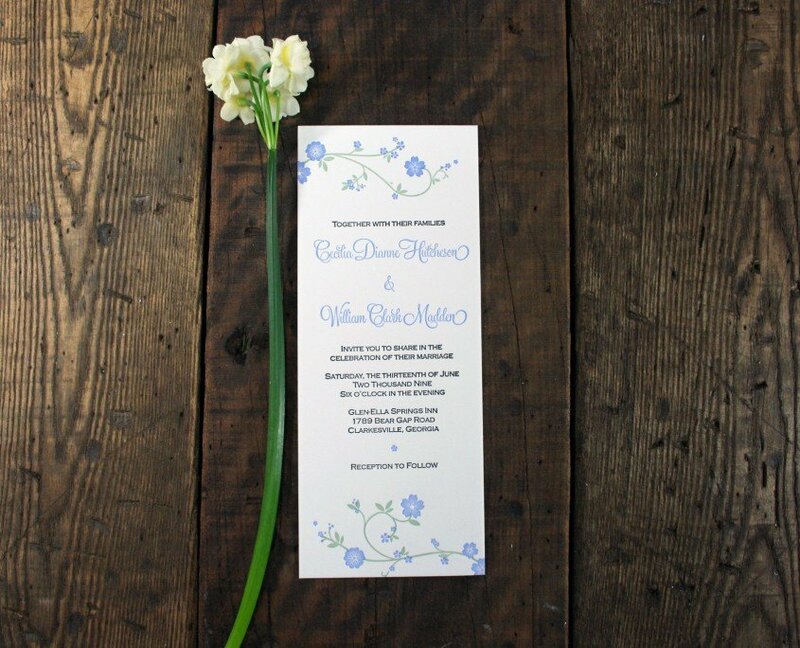 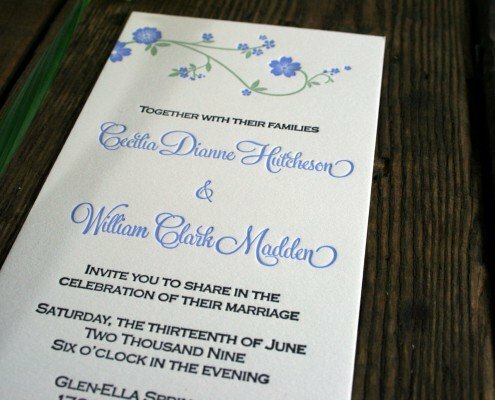 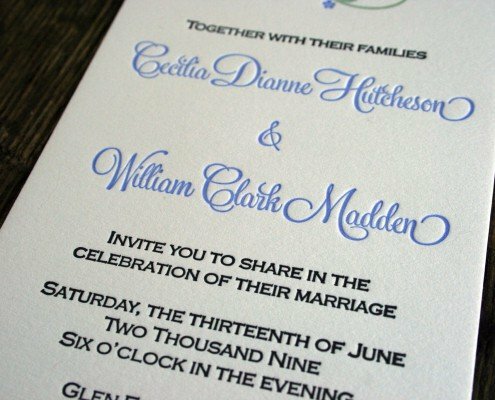 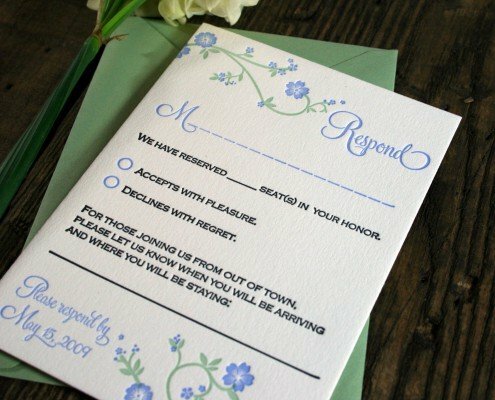 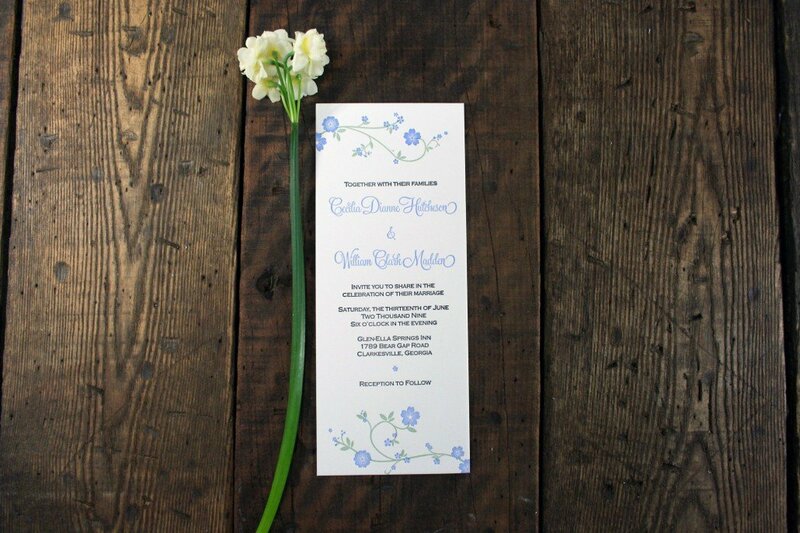 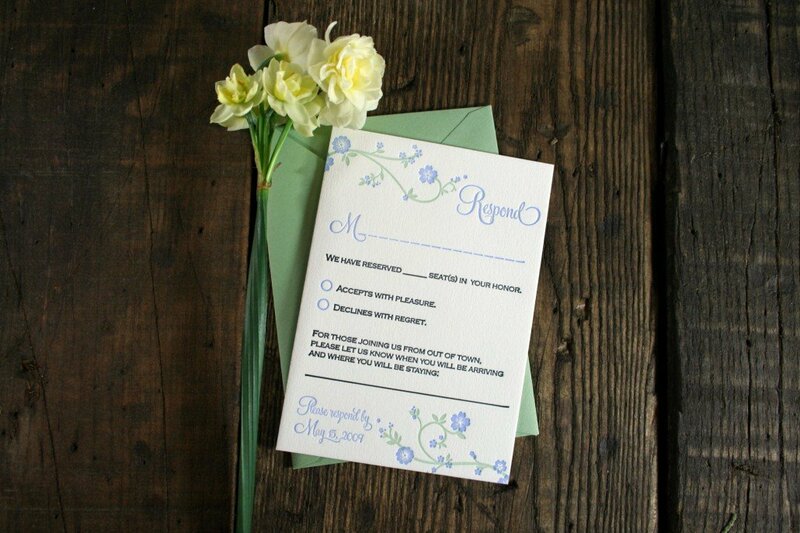 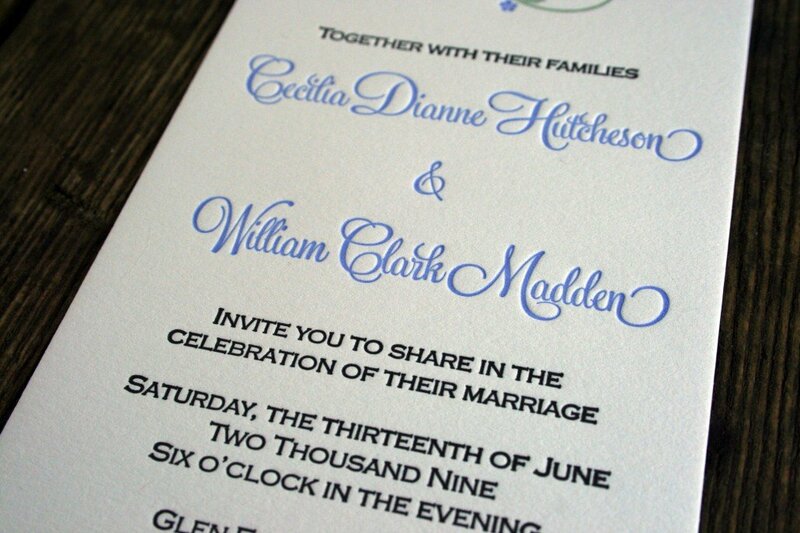 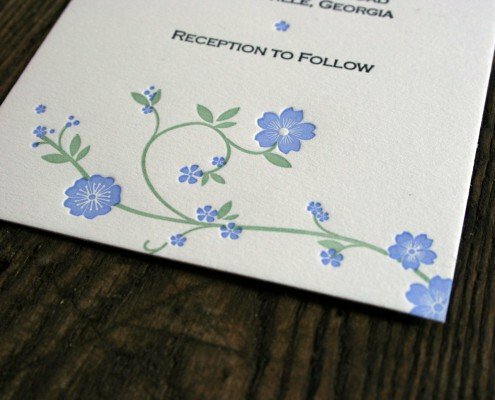 Cascades of gorgeous, tiny blossoms adorn this beautiful t-length invitation! 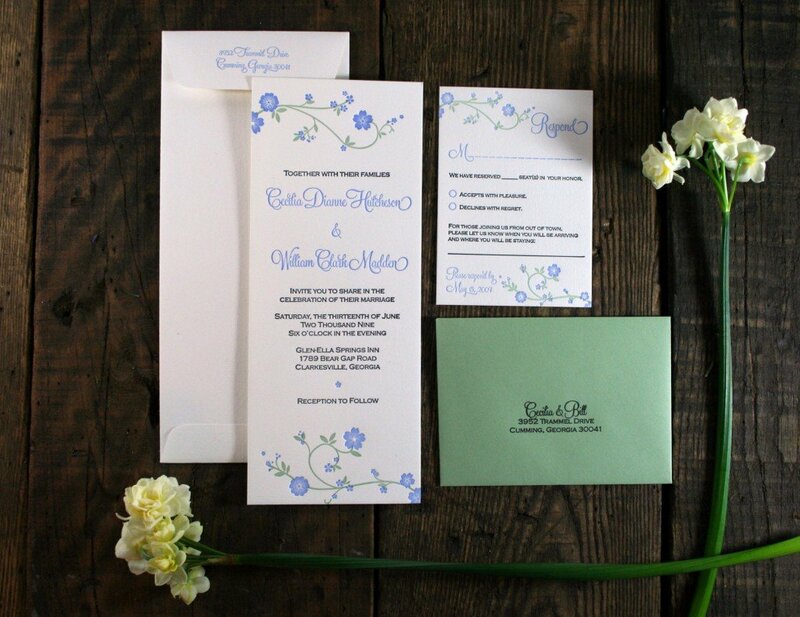 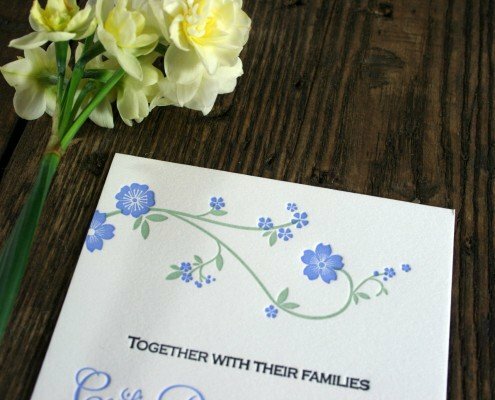 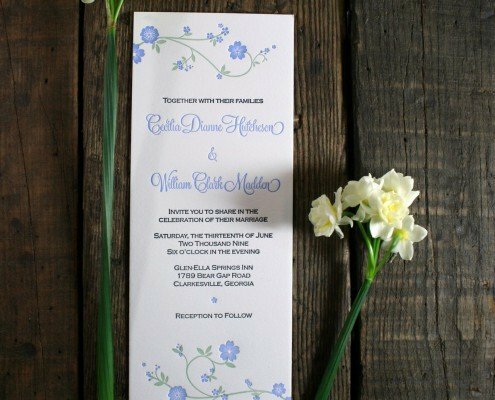 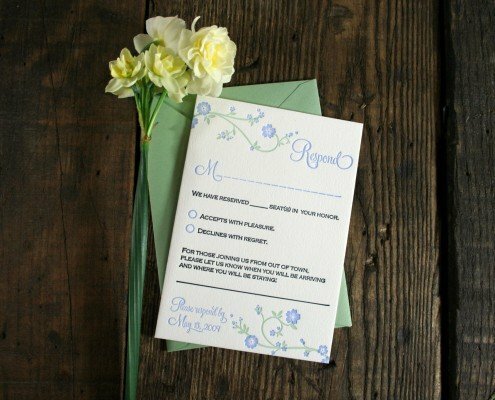 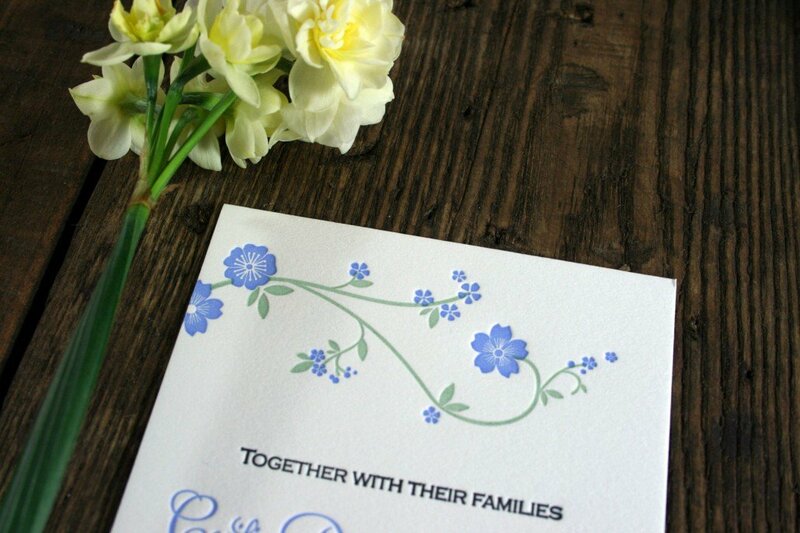 Set the tone for an outdoor spring or summer wedding with beautiful letterpress printed script and tiny delicate blossoms in light, airy tones. 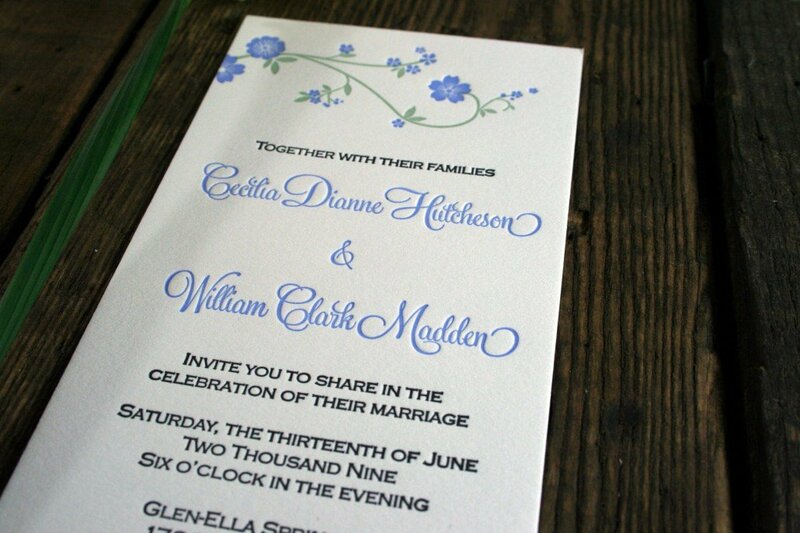 This design can also be done in a traditional A7 size, rather than the long & skinny t-length shape.